I've been a bit of a recipe rut since returning home from vacation. I've been in the mood for chili but really wanted something different so I decided to play around with a few ingredients and I ended up creating this awesome Chili. And yes, I said awesome, that is exactly what it was. Sweet and Spicy and delicious! Toss all of the ingredients into the bottom of your crock pot. Stir and cook on low for 4-5 hours. Top with sour cream and serve with corn chips. Enjoy! Mmmm, loving the flavours in this! Thanks for linking up! I love mango, dh loves peach and who doesn't love chili? This is on my list of "to make" now. I would have never thought to put these ingredients together. This looks so good though! 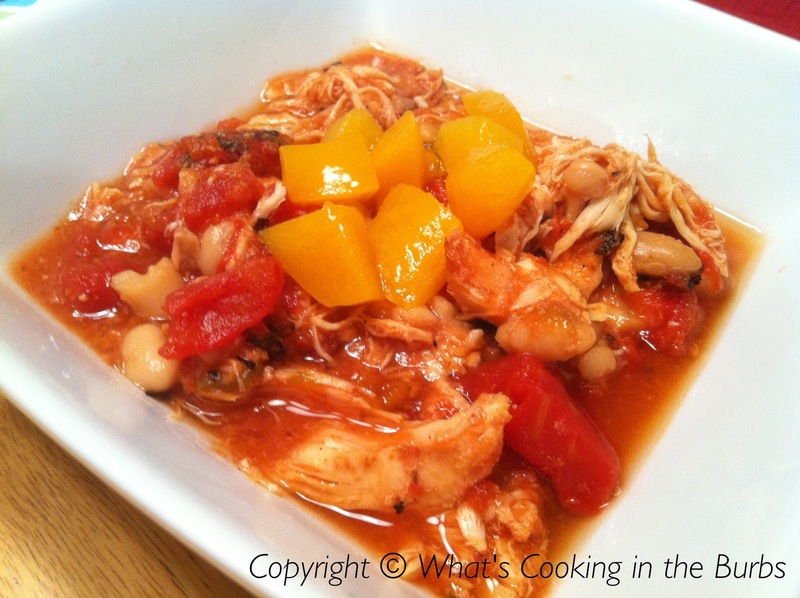 Thanks for sharing this recipe at the In and Out of the Kitchen link party! I look forward to seeing what you bring next week. Oh This sounds so good! A touch of Spring while we have all this snow on the ground! Thanks for sharing at Show Me Your Plaid Monday's! Chili in any version is good. This sounds really interesting and I can't wait to try it. Thanks for sharing at What'd You Do This Weekend.